A few weeks ago I wrote about a blog that was about to launch...well, it's finally here. 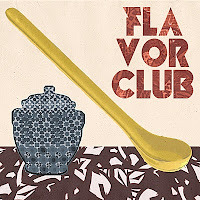 Flavor Club is up and running, so I want to spread the news. Emily, who started this blog with a friend, asked me if I knew of a company that made and sold walnut-olive relish, a product she was hoping Middle Eastern stores in her local Chicago area might carry. When my efforts came up empty, I did the next best thing, and sent her my recipe. When you have a moment, check out Flavor Club to see what's cooking! I know you'll like what you see. Labels: Flavor Club, walnut-olive relish. Had a look at the new flavour club website, it's nice clean and minimalistic. Good luck with it!